A top-to-bottom "BioBlitz" survey uncovered likely new species, including a ghost scorpion, iridescent fly, bacterium, and multiple water bears. Conducting nature surveys can be grueling, often frustrating work. In forest landscapes, the efforts may necessitate scaling towering trees and, on the ground, turning over 100 or so heavy logs for every skittish critter sighting. 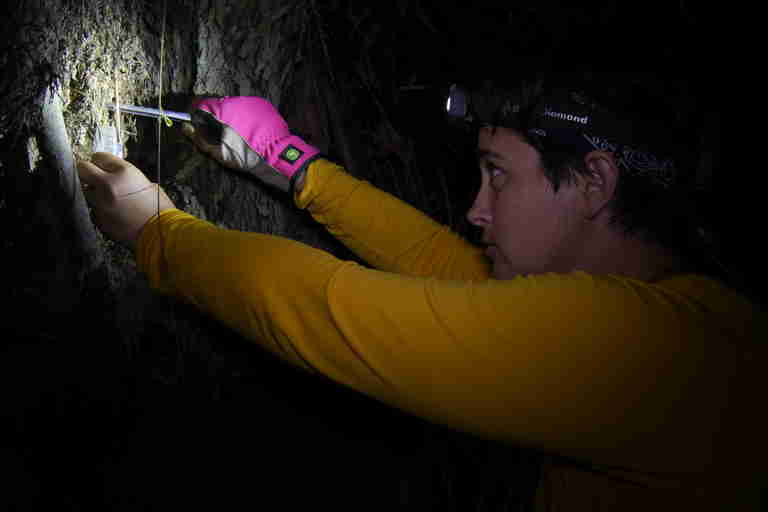 During a recent survey of Malaysia's Penang Hill, arachnologist Lauren Esposito of the California Academy of Sciences and post-doc Stephanie Loria were examining about their 99th log at night when a moment of discovery occurred. "We were just standing on the path, sort of casually chatting while she dug into a rotting log, when she said, 'Chaerilid!' 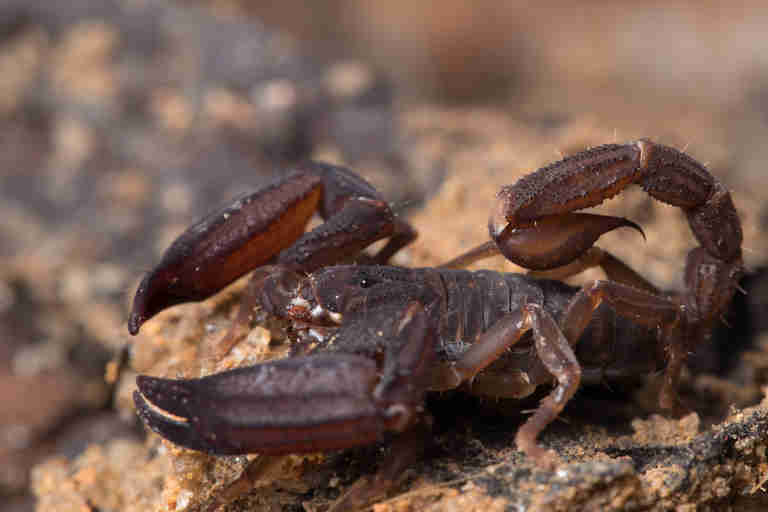 which is the scientific name for ghost scorpions," Esposito told Seeker. "The look on her face was worth the whole trip!" The venomous arachnid, which fluoresces when under ultraviolet light, is just one of several likely new species discovered during the recent top-to-bottom flora and fauna survey of Penang Hill on Malaysia's island state of Penang. Other probable new species discoveries made during the survey — unprecedented in its comprehensive approach — so far include an iridescent fly, a bacterium and multiple tardigrades, also called water bears. Water bears are microscopic, aquatic animals that not only inhabit moss and lichen in trees, but also grocery store produce like lettuce and spinach. "Hardly anyone has ever heard of water bears, but hey, they're everywhere!" Margaret Lowman, the leader of the expedition, told Seeker. "If you think that you're a vegetarian, consider that you're eating these tiny animals, too. Most of us do." 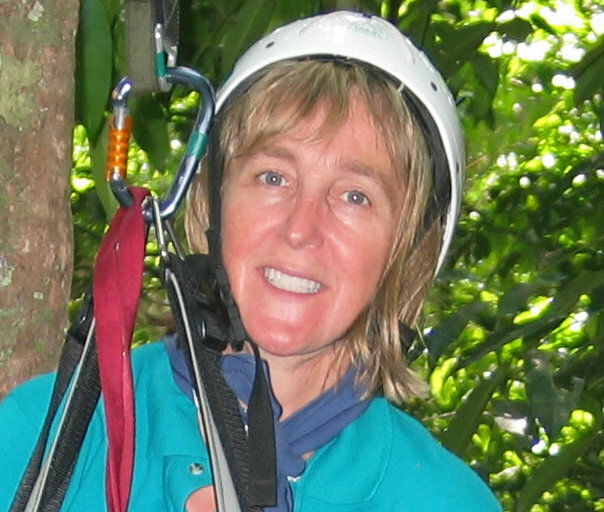 Lowman, know as "Canopy Meg," is the California Academy of Sciences' Lindsay Chair of Botany. A world-renowned researcher and explorer, she pioneered the science of canopy ecology, which involves studying the upper habitat zone of trees. She is the author of many books, including "Life in the Treetops: Adventures of a Woman in Field Biology" (Yale University Press, 1999). 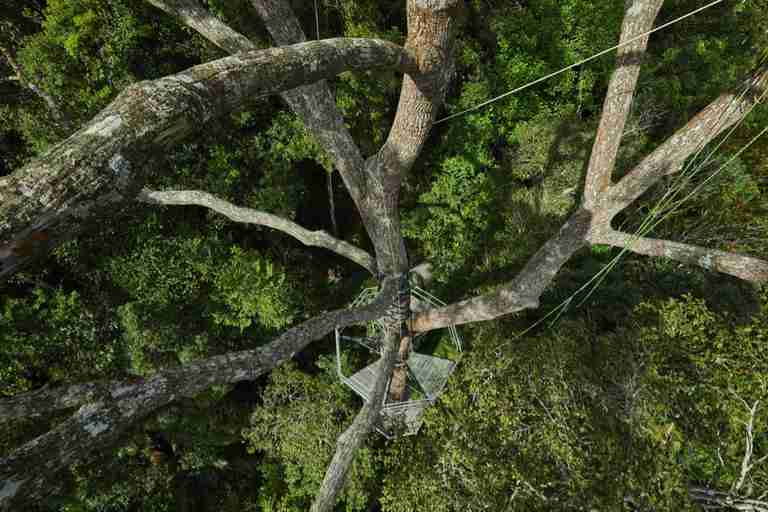 "We discovered scuba diving in the 1950s and went to the moon in the 1960s, but we didn't develop the toolkit for studying treetops until the 1980s," said Lowman, whose greatest single tree ascent so far is 200 feet. Her formidable climbing skills were put to the test during the recent survey called "Penang Hill BioBlitz" within the 19,768-acre Penang National Park. The site is a rolling, mountainous landscape thick with the world's tallest tropical hardwood trees. "These tall trees, dipterocarps, drive entire economies in the tropics," Lowman said, explaining that they are common to the logging industry. "In the rainforest, they reduce runoff, lead to sources of freshwater and provide food, shade, and habitat for animals and plants, including species with medicinal value to humans." She and her team of 117 scientists — from the Academy, UC Berkeley, The Tree Projects, and other partner organizations — collectively climbed 5,236 vertical feet during this first-ever canopy survey in Malaysia. Forty-seven students from local schools, World Wildlife Fund Hong Kong, and the organization JASON Learning, which digitally broadcasted field updates to students around the world, also participated in the fieldwork. In addition to the discovery of new species that will continue to be analyzed and tallied throughout the year from gathered samples, the expedition researchers also logged several plants and animals already known to science, but that have never before been recorded in Penang. The scientists logged them in real-time using the nature-tracking mobile app iNaturalist, which the students could monitor. New regional sightings included the red-rumped swallow and stripe-throated bulbul; the spotted-wing fruit bat; one species of orchid; three groups of algae found in flowing water; eight species of mammals; two species of frogs; several species of flies, including one that mimics ants; five groups of ants, including Dracula ants named for devouring their own young; two species of mosquito; and the segmented funnel-web spider Macrothele segmentata, which had not been seen since its original discovery and description in Penang in the late 1800s. In terms of mammals, 59 were documented through motion-sensitive cameras. 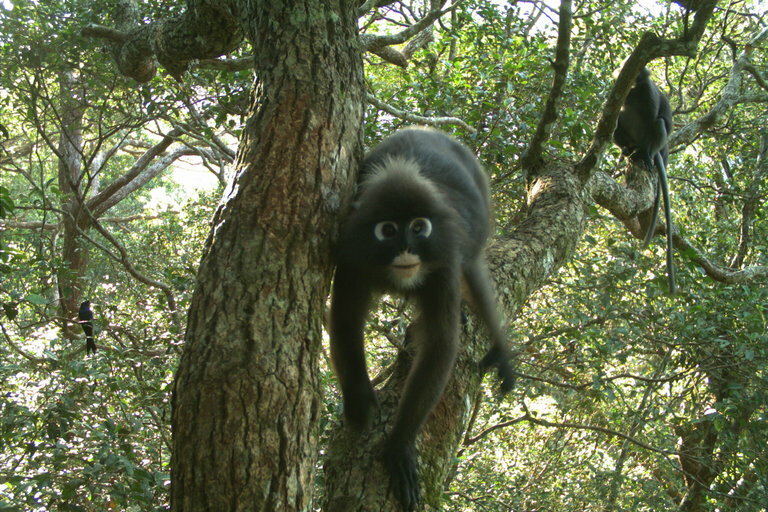 They included dusky-leaf langurs, tree rats, flying squirrels, and macaques. Loria said her team often had to gently shoo away the macaques, which were very curious about all of the base camp equipment. "Their attempts at keeping them away failed, and it was very memorable watching the macaques steal one of our first aid kits and run into the trees with it," she recalled. Another highlight for her was seeing a caecilian for the first time. 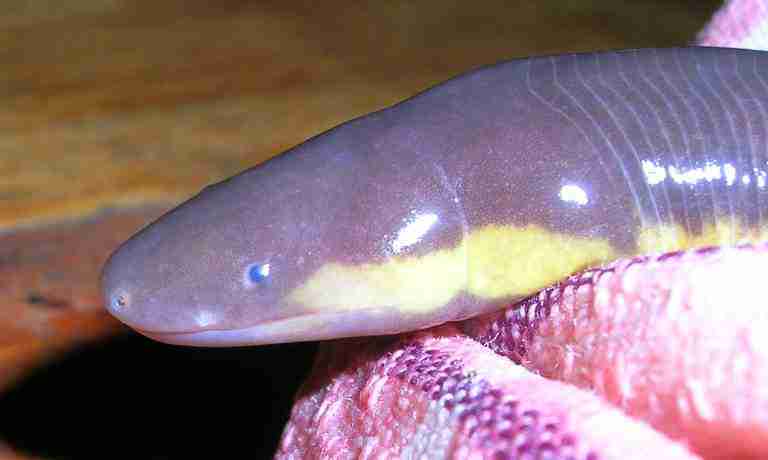 Caecilians are rare, legless animals that live deep in the ground from which they hardly ever leave. This makes them one of the most elusive animals to find. "When I first saw it, I thought it was a snake, but I remember thinking that there was something strange about it, like its skin had more of a glow to it," Loria said. "It wasn't until later, after I showed the photo of it to the herpetologist on our team, that I found out it was a caecilian," she continued. "Everyone on our team was jealous of me. I felt pretty lucky to get to see such a rare creature, which most people won't see in their lifetime." Yet another memorable sighting was of a millipede from the order Siphonphoridae. These millipedes possess a sucking mouthpart that looks like a bird beak. Loria had previously been on the lookout for one during earlier trips to Southeast Asia, but never spotted such an anthropod until the trip to Malaysia. 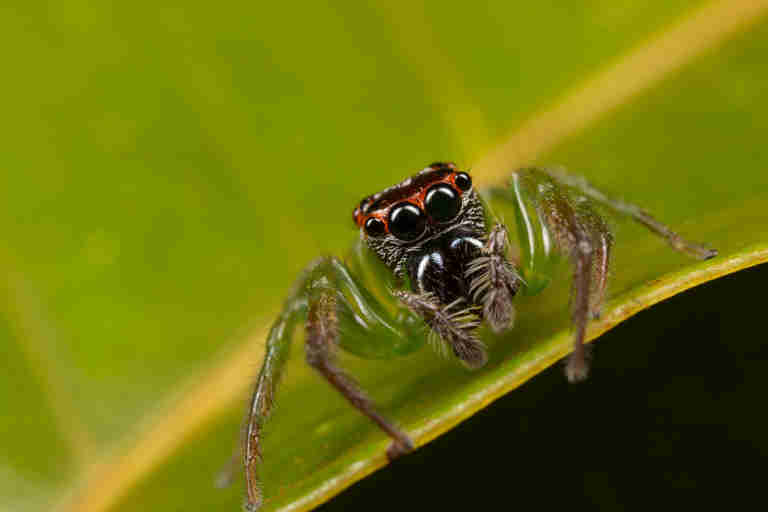 She, Esposito, and their colleagues also worked hard to find whip spiders known to live in the region. Whip spiders belong to an ancient order of arachnids and are characterized by their claw-like grabbers, called pedipalps, on their front-most legs. One night, after several evenings of searching, the entomologists spotted one under some large boulders that were straddling a stream. They had to tag-team to keep an eye on the fast-moving spider. Loria wound up wriggling under a boulder to reach it, while Esposito handed down supplies. The researchers also collected mites, micro-whip scorpions, whip scorpions, harvestmen, and other spiders. Some may be new to science. "Finding critters in their natural habitat after reading about or seeing photos of them is always a surreal experience because it's like bringing to life characters in a book," Loria said. "In this case, the book is the biodiversity of the world." Lowman and her team intended for the survey to occur during the beginning of the monsoon season, which Esposito explained is a great time of year for collecting certain species whose annual lifecycle is tied to rain. The rains came late, however. During the first week of the survey, the scientists had to struggle to find creatures, and especially insects and arachnids, which would have been more abundant during times of even minor rainfall. Then, on the other extreme, torrential rains soaked the entire region during the second week, Lowman said, causing dangerous mudslides. "Even though I work with organisms that most people are afraid of, like scorpions and centipedes, being bit by a centipede or stung by a scorpion is my least concern while in the field," Loria said. "I'm more concerned about falling down a slope or slipping on a wet boulder and hitting my head, as usually when I go into the field there is no hospital nearby and any bad fall could result in death." She added that collecting specimens at night proved to be the most challenging, "since it became quite dangerous with a slippery trail and lightening just above us." All of the researchers lived to tell the tale, however, due to proper training, planning, and preparedness — as well as good luck. Lowman said that her "secret sauce" in building teams is to involve local researchers, students, and others as much as possible. She was amazed by the "intrepid enthusiasm" of young Malaysian women on the team who — wearing heavy, traditional clothing — still managed to climb trees, set "banana traps" for animals, and perform additional field work alongside the scientists. "I was blown away by their determination," said Lowman, who also expressed pride over the fact that 65 percent of her team consisted of women. She continued: "I've become used to being the only woman on certain teams, so it is tremendously hopeful to see women, particularly in other countries, show such an interest in science." The work can be lucrative too, as Lowman is helping to develop orchid farming for locals in another rainforest-rich country, Costa Rica. As an active member of Church Forests of Ethiopia, Save the Redwoods League, and many more organizations and projects, Lowman continues to strengthen efforts that not only protect the environment, but also help to boost local job growth and incomes. Wheelchair users are not left out, as she has developed methods that enable those with arm mobility to conduct canopy research high in the trees using pulleys and other special equipment. Ecotourism can provide yet another source of revenue for locals. The Habitat Penang Hill aims to promote environmental consciousness and conservation awareness tourism at the Malaysian site, which Lowman describes as "pristine" because it is "beloved by the Malaysians, has undergone no tragedies such as an oil spill, and benefits from good local stewardship." Its condition is all the more remarkable considering its location close to a major metropolis. Allen Tan, managing director of The Habitat, told Seeker that he and his colleagues are "working with the Penang State Government to list Penang Hill and other parts of Penang Island as a UNESCO Biosphere Reserve." "Furthermore," he continued, "we are also working to establish a Rainforest Research Center on Penang Hill that, it is hoped, will act as a catalyst for more scientific research and activity both on the Hill and in Penang as a whole." The capital city of Penang, George Town, is already a designated UNESCO World Heritage site. It sits at the crossroads of culture, history, and cuisine and has become a cultural hub in South East Asia. Every year, over one million visitors to the bustling city travel fifteen minutes by train to the summit of Penang Hill, where they can enjoy the panoramic views of the surrounding landscape. The Habitat also includes a Treetop Walk — a viewing platform in the rainforest's plateau — that holds up to 120 people at a time. 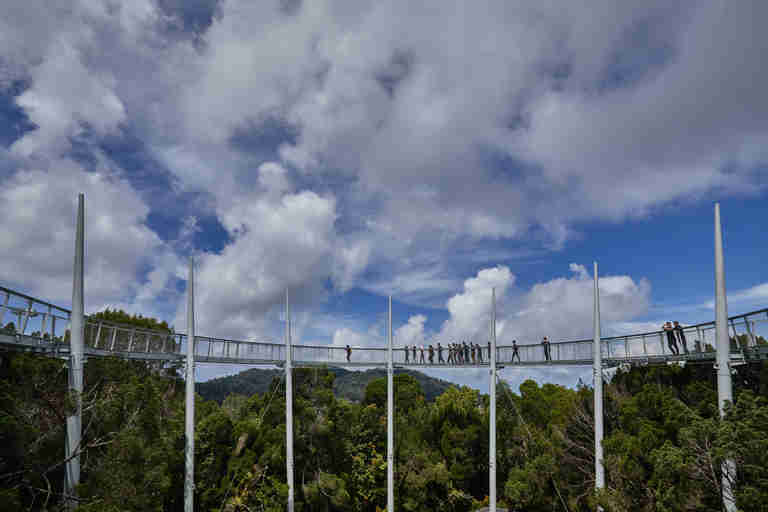 A Canopy Walk further enhances the experience, providing views across the hills to the state of Kedah. Tan said, "It is our hope and objective that by highlighting the tremendously rich biodiversity that exists within our relatively tiny rainforest on Penang Island that we can inspire people to want to protect what's there and to take an interest in conservation overall." Some of the photos in this story originally appeared in bioGraphic, an online magazine about nature and sustainability powered by the California Academy of Sciences.